With the score tied at 79-79, KIROLBET Baskonia Vitoria-Gasteiz head coach Velimir Perasovic called a timeout. After a brief talk with his assistants, Perasovic approached his players and simply said: "We play floppy. Full court, receive the ball, and we play floppy...But we score! We go to score with aggressivity!" A pretty simple explanation resulted in one of the most exciting ways to win a game. 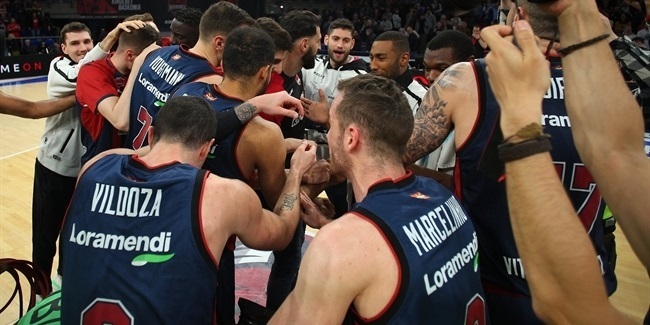 After a little give-and-go with Matt Janning, Baskonia point guard Luca Vildoza played a pick-and-roll with center Vincent Poirier. The big man rolled perfectly and attacked the basket to finish with one of the biggest dunks of the season, detonated over two Maccabi players with 11 seconds to go in the game. 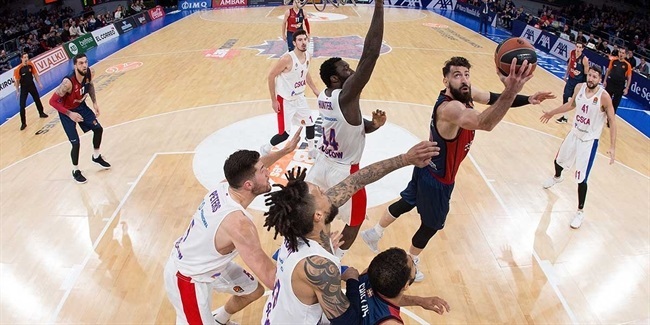 Baskonia went on to make a defensive stand on the other end and picked up its third win in the last four games. "Poirier is a great center for rolling," Perasovic said during the post-game interview. "When we find him, he always scores." "I got the ball, I was alone and the guy came. I tried to dunk, and it was good," Poirier explained before adding, "It is what I do. I dunk. I do not hesitate." Apart from his game-winner, Poirier had 12 points and 12 rebounds in this game. Along with Tornike Shengelia's 20 points and 5 assists and Janning's 16 points, the big man was one of the key contributors. 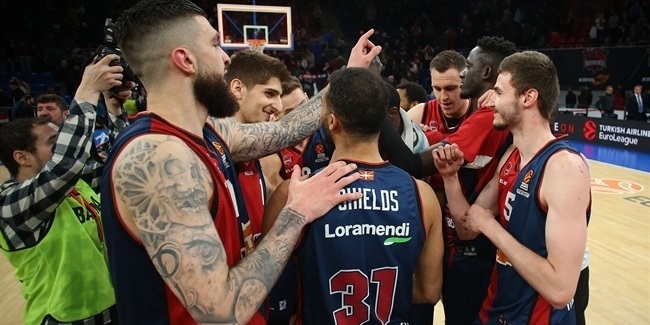 But he owned the critical play in Baskonia's highly-important road triumph.